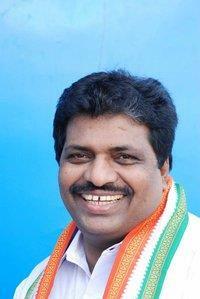 Kodikunnil Suresh is an Indian politician from the state of Kerala. He is currently the Minister of State in charge of the Labour ministry. He is also a member of the Parliament, representing Mavelikara Lokh Sabha Constituency in God's own country. He is elected to the Lokh Sabha a record 5th time. His organizational work at the state level helped him to get noticed at the national level. Hence, he was made the Secretary of the All India Congress Committee (AICC), the decision making body of Indian National Congress (INC). During his stint at Lokh Sabha, he has participated in meetings of different parliamentary committees as an active member. Kodikunnil Suresh was born on June 04, 1962 at a place called Kodikunnil in the capital city of Kerala. His parents were Late Shri. Kunjan and Smt. Thankamma. As he was born into a poor family based in Thiruvananthapuram district of Kerala, he had to struggle to get himself educated. Initially, his parents were able to support his education. He was put at a government school where he had his formal education. Later, he was moved to another government school nearby to enable him to continue his education. At this school, he continued his education up to the tenth standard. Though he was from a poor background, he was good at studies. So, he devoted valuable time for his studies at his humble dwelling. He did not have the liberty to go for separate tuition to increase his chances of getting good marks in SSLC examination. Despite this, he came out with flying colors, and good grades and marks. During this period, he showed some interest in the issues that are directly related to the students. Thus, he decided to participate in student politics and movements. He started to observe closely the approach of different parties to the issues affecting the students. After weighing his options, he decided to join the Kerala Students Union, a students' wing of Indian National Congress. Moreover, some of his seniors were also the active participants of the student movements organized by KSU. But the extent of participations in political movements was muted due to the academic and parental pressures. After successfully passing SSLC examination, Kodikunnil Suresh enrolled himself for a pre-degree course at local junior college near his house. After joining the junior college, he had more time to participate in the various movements that were aimed at improving the conditions of the students. During this period, he tried to meet more people who were sailing with him in the same boat politically. He also proved his organization skills by managing small groups from his college. Despite of his busy engagement with student politics, he somehow found time to continue his studies. In such instances, he was more serious about his studies. As a result of this, he was able to write the pre-degree examinations well and score reasonable grades. Then he joined a degree college in the capital city of Kerala to pursue his education further. After joining the degree course, he started to participate in the state politics more seriously. In the college premises, he met with the senior student leaders from KSU and learned the art of leading the students for a cause. Under the patronage of these leaders, he could organize student protests both inside and outside the college campus. This helped him to prove his organizational skills before the think tank of the students' party. Since he was able to impress upon the senior members of the state unit of Congress party, he was appointed as a member of the youth wing of the Indian National Congress, the grand old party of the country. In the youth wing of the party, he worked well and rose through its rank and file to become its state Secretary. By the time he completed his degree, he was able to complete the groundwork for his grand entry into the state unit of the Congress party. As before, he was able to find time to assimilate the knowledge in his chosen area of specialization to prepare well for the degree examination. At different stages of his pursuit of education, he found time to do extra work to find the finances to support his education, as his parents were not able to fully finance his education. Hence, he was able to successfully pass the degree examinations with decent grades and marks. Subsequently, he joined the Government Law College in Thiruvananthapuram to do an LLB course. It was during this period did he developed more contacts and acumen to become a successful politician. At Law College premises, he was able to develop a cordial relationship with the students by indulging in activities that helped them. As a result, he was elected to the College Union as its Chairman. During this period, he also developed good relationships with the senior members of the state unit of the Congress party. Despite his busy schedule in politics, he studied his basic lessons in law and wrote the examinations to pass the LLB course with reasonable marks and grades. Later, he married to Bindu Suresh. The couple is blessed with a son and a daughter. After successfully showcasing his organizational and oratory skills, Kodikunnil Suresh was lifted from the Indian Youth League and made a member of the Kerala Pradesh Congress Committee. He was given charge to look after the Southern districts of Kerala such as Thiruvananthapuram, Kollam, Alappuzha, and Pathanamthitta. He was even made a member of a state committee that did the screening of the Congress workers to choose the candidates for the inner party elections. By working in various capacities, he showed the state leadership of the Congress party that he was a dependable person. Hence, he was given a ticket to take part in the general elections for the first time in 1989. In that election, he was able to defeat his nearest rival from the Communist Part of India (Marxist) by a huge margin and became a member of the Lokh Sabha for the first time. Kodikunnil Suresh became a member of the parliament in subsequent elections in the years 1991 and1996, representing the same Lokh Sabha Constituency of Mavelikara in Alappuzha district of central Kerala. In the year 1999, the Luck Goddess did not bless him. In that year, he was defeated by a candidate from the Communist Party of India in Adoor Lokh Sabha Constituency. During the next general election to the parliament, he was again defeated by the opposition party contestant in the year 2004. During this period, he worked for the party at the state and national levels. In the year 2009, the fortune reversed for him. In the general election to the parliament that year, he won the general election to the Lokh Sabha, defeating R.S. Anil of Communist Party of India with a huge margin of votes. However, his election to Lokh Sabha from Mavelikara Constituency was marred with a controversy. On a writ petition filed by the opposition party candidate, his election was nulled by the honorable High Court. While setting aside his election, the honorable High Court of the state observed that he was in possession of a fake caste certificate at the time of his selection to the parliament. This verdict was later reversed by the honorable Supreme Court of the country. During his long political career, Kodikunnil Suresh took part in politics both inside and outside the grand old party of the country, Indian National Congress. As a result, he became a Member or Secretary or the President of many organizations in the state. He was the President of ISRO Dalit Employees Association, LIC Employees Congress (Trivandrum), and IRE Employees Congress. He was a member of the Central Board of Fisheries, Telecom Advisory Committee (Kerala Circle), Governing Body of Sri Chitra Tirunal Institute of Science and Technology, and CTCRI (Trivandrum). He was the Chairman of Dr. Ambedkar Institute of Legal Studies, Trivandrum. During his college days, he was both Vice President and the General Secretary of Kerala Students Union. As a member of Lokh Sabha, he was a member of various committees created from time-to-time to look after into various issues connecting people and different wings of the government. Thus, he became a member of Consultative and Standing Committees of Ministry of Communications, Estimates Committee, Committee on the Papers Laid on the Table of Parliament, Committee on the Welfare of Scheduled Castes and Scheduled Tribes, Standing Committee on Petroleum and Fertilizers, Railway Convention Committee, Consultative Committee of Ministry of Human Resources Development, Committee on Members of Local Area Development Scheme, and Committee on Transport, Tourism and Culture. Kodikunnil Suresh is a seasoned Politician, a Trade Unionist and a Social Worker from the state of Kerala. He has a long career in politics. He started his political career as a student activist who had an affiliation to Kerala Students Union, the students' wing of Indian National Congress. He was the Vice President and General Secretary of Kerala Students Union. After a commendable work record at the student party level, he was given membership of the Indian Youth Congress, the youth wing of the Congress party. After a period of work at the youth party level, he became a member of Kerala Pradesh Congress Committee. Later, he became a member of All India Congress Committee. His work at the national level was noticed and he was given for the first time a ticket to contest general election to Lokh Sabha. His maiden contest to Lokh Sabha was successful and he represented the Adoor Constituency. 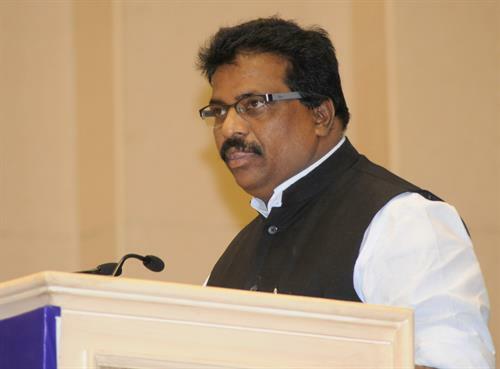 He was elected to the parliament subsequently two times and represented his Lokh Sabha Constituency there. In the next two elections to the Lokh Sabha, he was not successful and he limited himself to the party, occupying various posts offered by the party. During his long career, he was also a member of a large number of forums and committees.